Rotary evaporators are effete affectations of so-called molecular gastronomists and have no place in a traditional kitchen such as my own. Rotovaps are dangerous and those who would use them foolhardy. Rotary evaporators are ingenious industrial stills that have been around since the 1950's, no more dangerous than any other piece of kitchen gear. The sole reason I don't have one is the cost. Even a small, one-liter countertop model can run into thousands of dollars. But not everyone is dissuaded by the cost. They've been showing up in forward-looking professional kitchens and the backrooms of bars that play host to experimental bartenders. In a nutshell, they allow low-temperature distillation of alcohol in very low atmospheric pressure. Delicate and ephemeral tastes and scents that perhaps could have been captured laboriously only en fleurage in past centuries can be, with a rotovap, cranked out on one's kitchen counter. 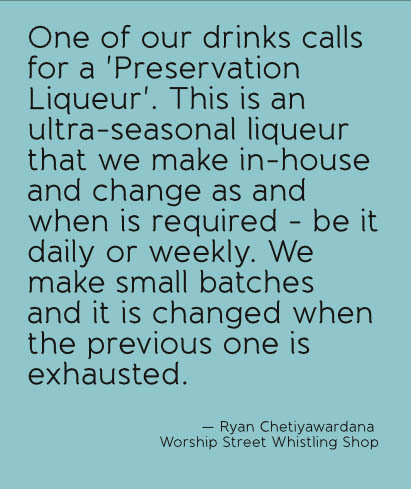 In the latest issue of CLASS magazine, London bartender Ryan Chetiyawardana discusses his rotary evaporator. 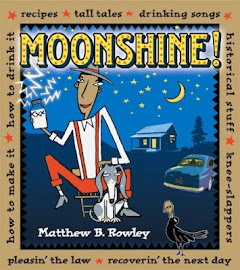 Specifically, he writes about the traditional low-temperature/low pressure technique for which the high-tech still is known and then, pulling a Father William, he turns it on its head, inverting the process to become high-pressure/high-temperature distillation. One of the main culprits for this thinking was black pepper. I've always found it a very complex spice and found notes ranging from red berries all the way through to wood, tobacco and coffee. When run through a low pressure distillation, the delicate floral notes shine through. On trying pot still distillations, this yields some of the spice, but it wasn't until I ran a high pressure distillation that I finally achieved the wonderfully fragrant, oily and earthy distillate I wanted. The still — for that's what a rotary evaporator is — has been dubbed Chetiyawardana's "Kaboom Still." 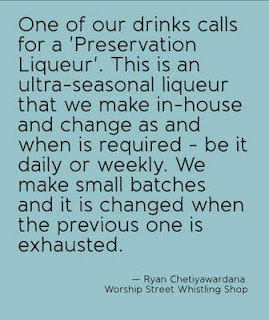 Hats off to him for pushing distillation into new directions. 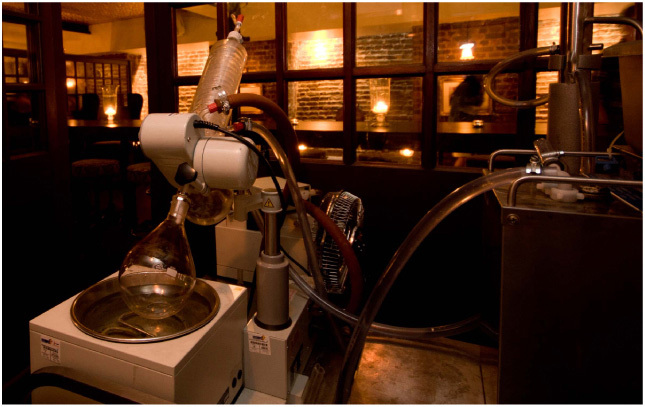 Chetiyawardana's article, The 'Kaboom' Still - High Pressure Distillation.